Q: Is there a way to make an interactive PDF form non-editable and make sure that fields data on the form can not be changed? A: You can make a PDF form non-editable by either using Document Permissions (Method 1 below) or by flattening the form fields (Method 2 below). 1. 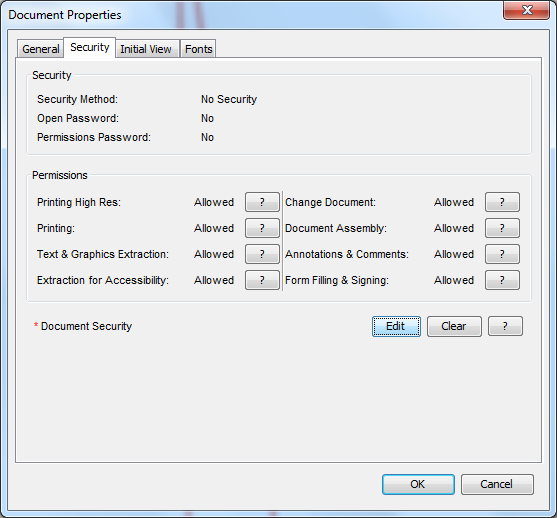 Go to File -> Document Properties and select Security tab. 3. Un-check “Allow Filling Form Fields & Signing”. 4. Check “Password to Change Permissions” checkbox and set the permission password. 5. Reopen the document and try to create/edit the form, a message will be displayed indicating that the document’s permissions do not allow you to edit forms. 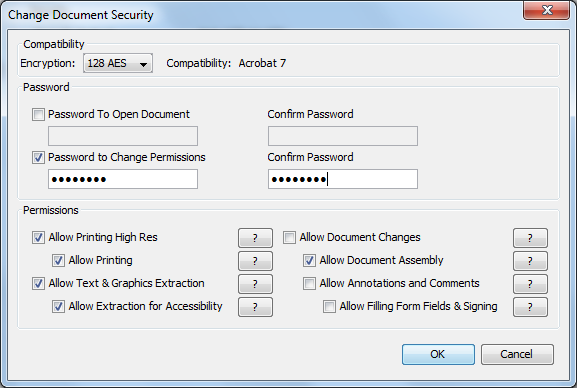 Refer to our user guide for more information about options available under the Document Security dialog. Flattening form fields will flatten all fields in the form. When flattened, fields will be painted directly in the content of the page to which they belong and will no longer be interactive and editable. You can flatten form fields by going to Forms -> Flatten all fields. We have more details about flattening form fields in our user guide. Flattening a PDF can not be undone so if you plan on continuing to work with the form fields, make sure to keep the original form and save the flattened form as a new document (using File -> Save As).